Over the last six weeks I have been travelling around the United States of America, exploring different cities and the American culture. It was not until my bus drove through the streets of Oxford, Mississippi that I truly thought to myself “I could stay here for the next 5 months”. 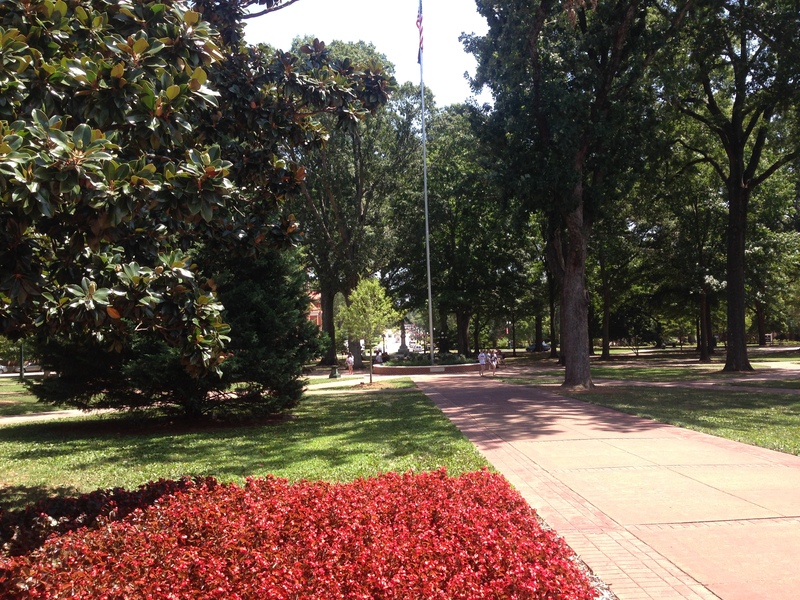 The University of Mississippi, otherwise known as Ole Miss, is home to one of the most beautiful campuses in America, with a lovely mix of wide ranging grasslands and historic buildings. Upon arrival, I instantly felt the nature of the university and what it means to the people of the town. The school spirit is very much alive in Oxford, as I was greeted with an extremely enthusiastic “Hotty Toddy” by the welcoming crew awaiting me at my new home for the semester. It was a real pleasure to encounter such happiness in a group of people, and it did not stop at the welcoming committee. Although I was slightly worried at going to a place without anyone that I know and in an environment I was not familiar with, my mind was put at ease immediately as every person I would encounter over the next few days were glad to help me with anything I needed. I was invited to a variety of events and to peoples houses and through my exchange program I was able to meet numerous friends, and it has only been a couple days! There is a whole bunch of activities to do and places to see in the town of Oxford, whether it be walking down the ‘Walk of Champions’ on campus in the infamous Grove, heading to the square at night to find an electrifying scene of bars, restaurants and shops, or simply sitting down in the summer heat that can get to almost 40 degrees! Although it hasn’t started yet, I can’t wait until the football season begins as from what I hear the whole town comes alive with school spirit and a sea of red flows across the streets to cheer on the mighty Rebels. Included throughout this post are numerous photos I have taken that incorporate what has been said above. Through the last couple days I have loved experiencing a new city, meeting new people and having a whole bunch of fun on the way. I would definitely recommend to everyone wishing to go on exchange to come to Ole Miss, as the school spirit and beautiful landscape are just too good to miss out on! Previous Previous post: Delft, what a ripper of a time.